Positioned above the island's golf course, there are activities to suit all ages and temperaments - just a short drive away there are lovely beaches, several five star hotels with spas and gyms, and vibrant Rodney Bay with its shops, bars and restaurants. 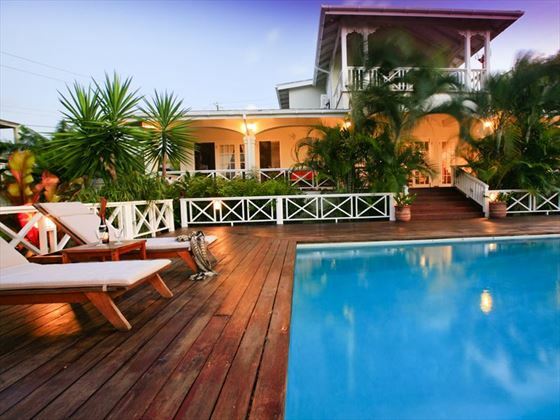 The high location of Villa Kessi allows the sea breezes to cool the airy spacious interiors which have been beautifully decorated in Caribbean-colonial style, with shutters opening to the lovely large veranda. 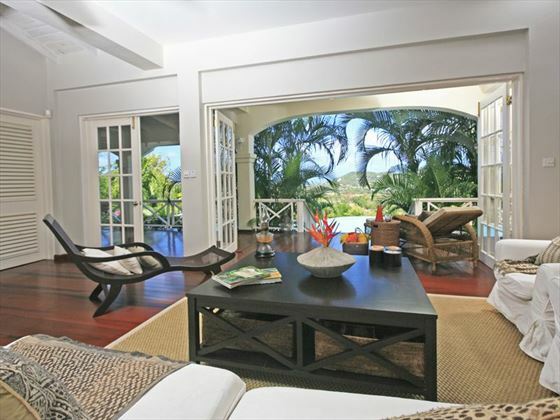 This spacious villa has flexible arrangements to suit families, friends and couples. There is a master bedroom with a four poster bed, a second bedroom also with four poster, and the third bedroom has bunk beds which will sleep up to four children. 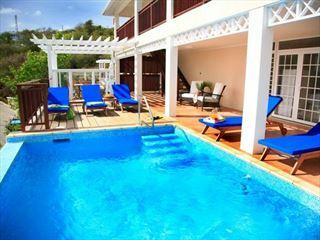 But the villa can also be rented as just a one or two bedroom villa for couples. And there will no arguments about whose turn it is to cook or wash-up because cook and housekeeping services are included in the price. Car hire is essential for a holiday to this villa: Private taxi transfers are included in the price to ensure you have an easy and stress-free journey to and from the airport with your luggage. The car will be delivered to your villa, and picked up again at the end of the holiday. We can arrange your car hire from £200 per week for a two-door automatic car with air conditioning. Or you can upgrade to a larger car, minivan or 4x4. 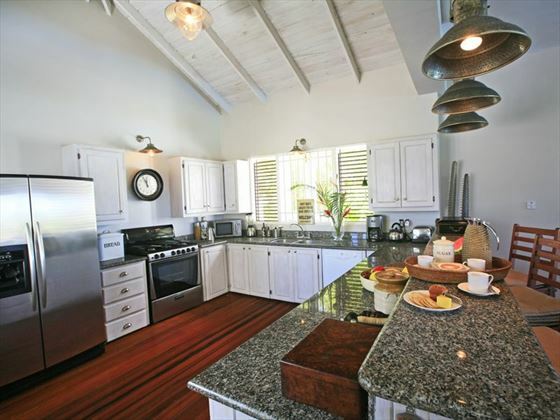 The gorgeous villa is located on the north western tip of the island, just a 10 minute drive from Rodney Bay. 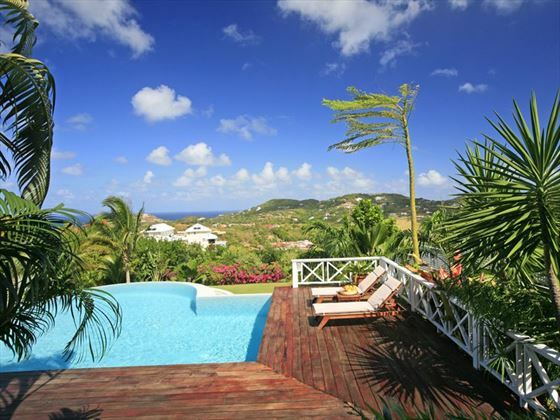 Located In a beautiful hillside setting on Cap Estate, you'll be above the golf course and be treated to views of the Caribbean Sea and Atlantic Ocean. You'll also be a short drive to beaches, shops and restaurants. 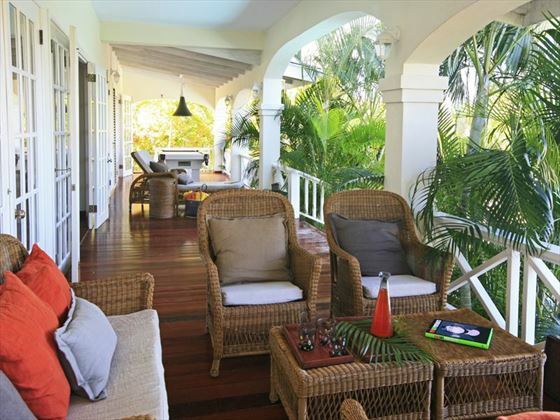 Two storey three bedroom villa sleeping a maximum of four adults and four children. 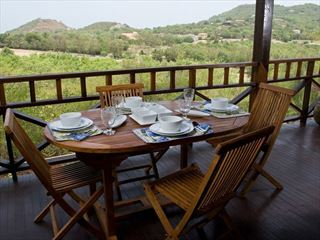 For smaller parties, Villa Kessi can also be booked as a one or two bedroom villa. 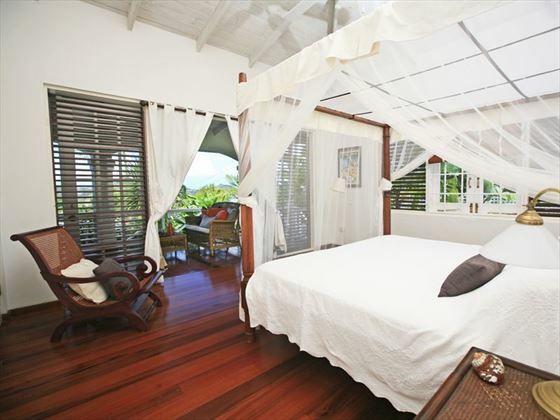 First floor master bedroom with large four poster bed, air-conditioning, ensuite bathroom and a balcony with wonderful views of the Caribbean Sea and Atlantic Ocean. Housekeeping service Monday to Saturday approximately 8.30am to 3.00pm, which includes cook service - making breakfast and lunch, and leaving dinner prepared. Ingredients are paid locally, and the grocery shopping can be arranged for a small extra charge. Please Note: Credit card authorisation for a ‘damage deposit’ will be taken on arrival and settled on departure. 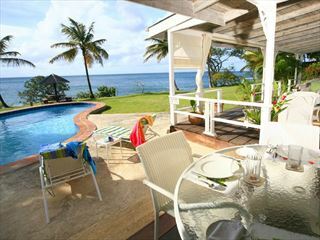 Sea Pearl is a two bedroom villa set on a lovely a hillside close to Smugglers Cove in St Lucia. 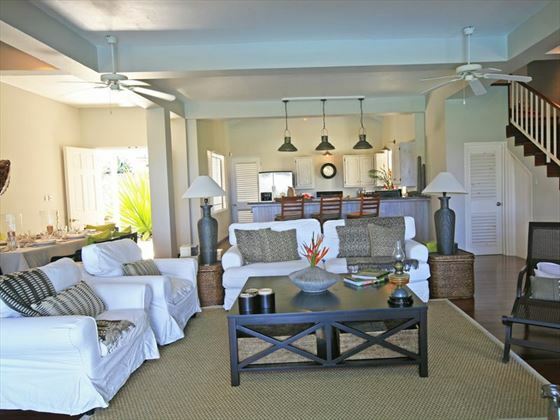 With cook service included and the beach just minutes walk away, this is the perfect tropical hideaway for a couple, family or group of friends.